Infon Battle Arena is a programming game. 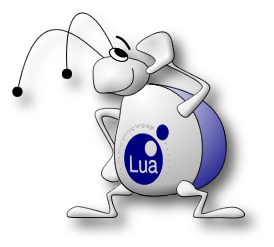 You control your creatures using the Lua programming language and let them compete for food and survival. Play online against other players! It is like corewars on steroids. This code will display a small "Hello!" below your creatures. See the documentation to learn more about programming your creatures. Network based. Play against others over the Internet! Different renderers (2D, 3D, Asciiart) to view the game. You'll only need telnet to play the game. Update your code while the game is running. Opensource (GPL). Download it for free! For other downloads, visit the download page. A project by Florian Wesch. Contact me at fw@dividuum.de or visit my website at dividuum.de.